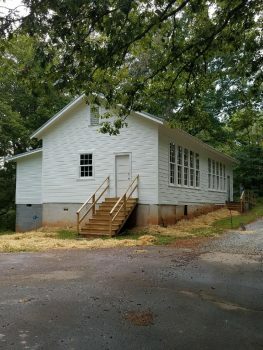 Please invite all your friends, co-workers and relatives to come to the Rosenwald School 90th Birthday Open House on Saturday & Sunday, September 1 & 2, 2018. The Community Open House will be held on Saturday, September 1 from 10-12 noon and will extend until 4 p.m. for family and alumni. The Open House will take place on Sunday from 1-5 p.m. The Friends of the Mars Hill Rosenwald School will be serving birthday cake at Michael’s house, which is located next to Mt. Olive Church, between Mt. Olive’s Morning Service and Afternoon Service. Members of the Friends Group are invited to serve as hosts/hostesses during the Open House as well as servers for the birthday cake on Sunday. Please contact Willa Wyatt if you can be a host or server by email to wwyatt@frontier.com.